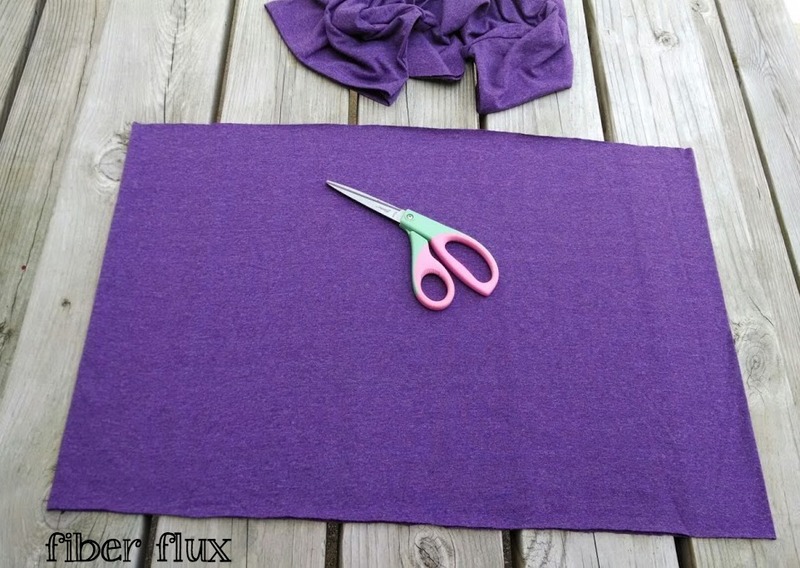 Fiber Flux: How To Make The Easiest Cowl Ever! 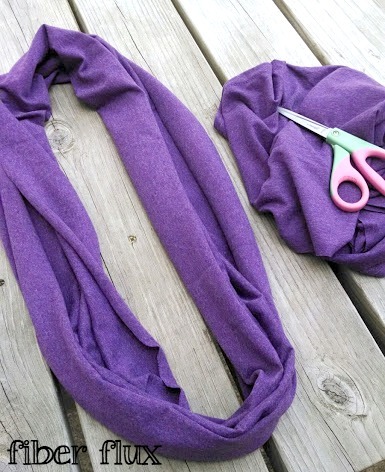 How To Make The Easiest Cowl Ever! 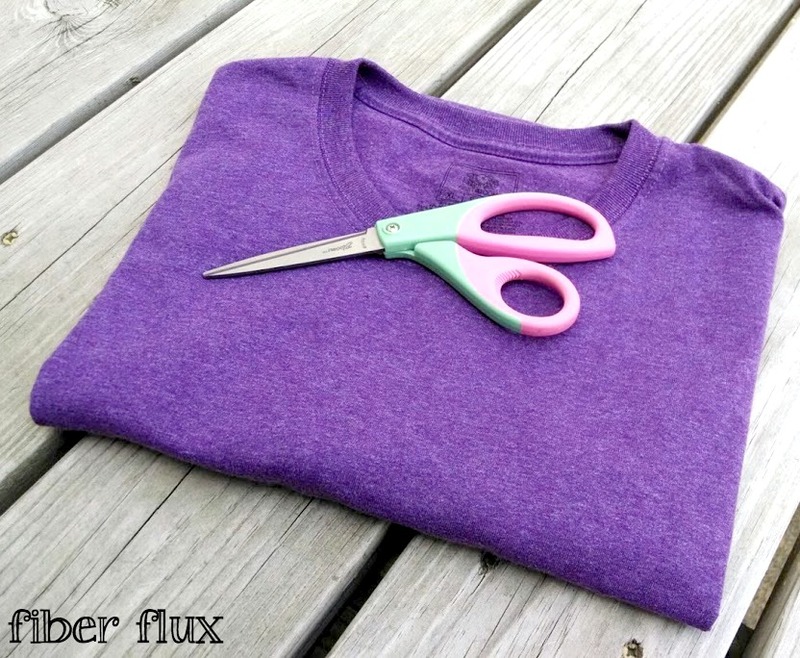 I've been wearing these a lot this summer and they are so super easy to make! I made my first one while making T-Shirt Yarn and started wearing it right then and there. These cowls are so easy this is one of those "non-tutorial" tutorials. 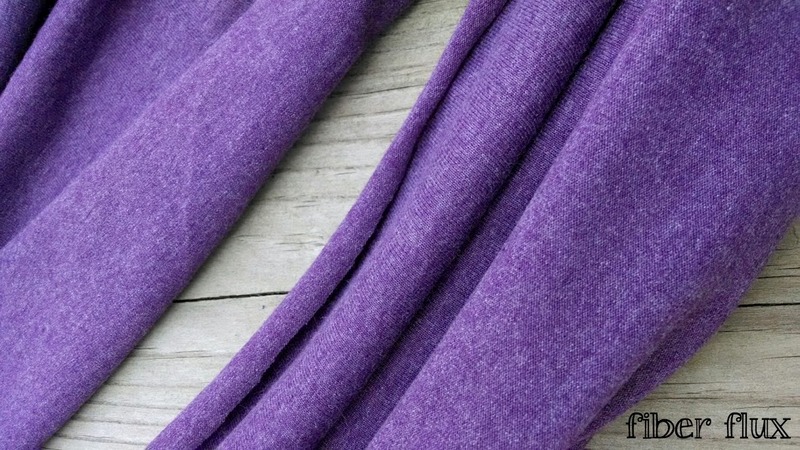 They are perfect for warm weather because they are made of cool and comfy jersey fabric...best of all they are no sew and can be made in seconds! 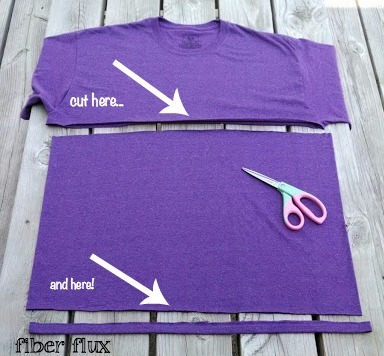 Make sure your shirt has no side seams. 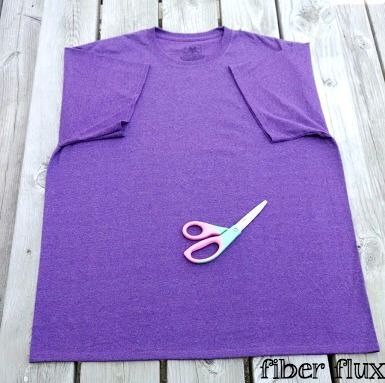 The shirt I used for this tutorial was a men's XL size and gave a circumference of 48 inches and 16 inches width. Experiment with different sizes of shirts to see what you like best. Because it is jersey knit material, it will naturally curl up on the sides, which is what we want...no raw edges showing anymore! Now you can wear your cowl...try printed and striped shirts too for a variety of looks. Thank you very much! Can't wait to try this. Thanks, they are lots of fun to make! so fun and easy ! Thanks! I've made a bunch of these, so nice in the warmer weather! Would love to see a picture of someone wearing one of these!